Terry Lankford was born in Austin, Texas. He is a graduate of Abilene Christian University (1975) and has a degree in Industrial Technology. He moved to Lueders, Texas at the age of one. His father owned and operated a Limestone fabricating business and his mother was a nurse. Terry is a member of the Abilene Chamber of Commerce, Abilene Better Business Bureau, and the Texas Mesquite Association. 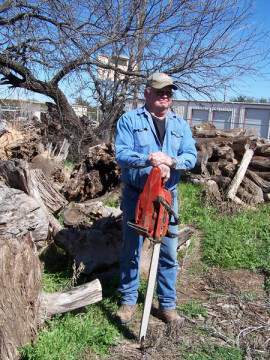 He hopes you enjoy looking at his Mesquite Furniture as much as he enjoys making it. Business has remained steady and he feels blessed!